And before getting into the lower helm 2017, please share my perverse pride in this 2011 view. Not one of those electronic devices is still in place, and neither are the overhead light fixtures nor the clearview circular wiper. All the changes didn&apos;t happen at once -- here&apos;s the first glass bridge redo in 2014 -- but I&apos;m grateful that I enjoy installing stuff (and often find it educational to boot). 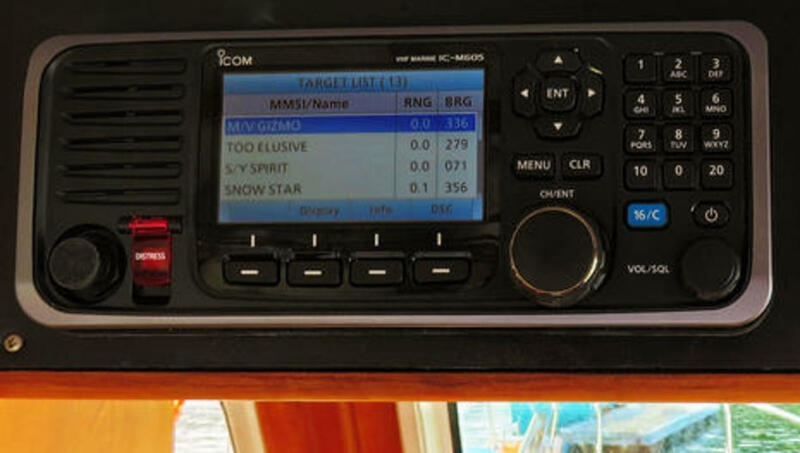 This Icom M605 VHF radio (and AIS receiver) is the best I&apos;ve ever used on several counts, though also the most expensive. 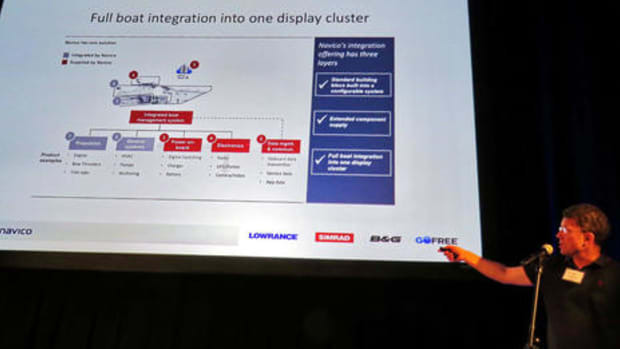 The outstanding clarity of the big color screen (not illustrated very well above) is matched by the set&apos;s audio quality, which extends to sensitivity, squelch and scanning effectiveness, and even the intercom feature. 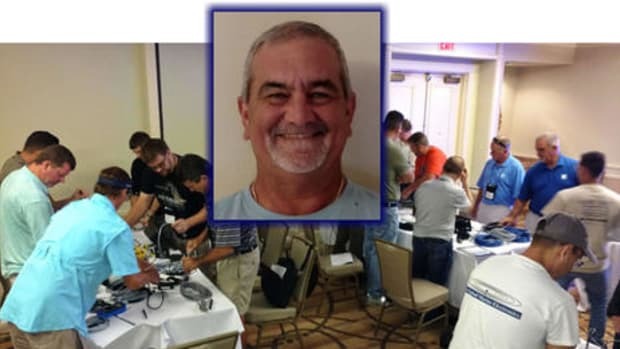 Note that 12-to-8 pin adapters are needed to support up to 3 excellent CommandMicIV remotes (or a mix of mics and a remote Command Head), but maybe that means Icom is working on even better mics, like color and wireless? That&apos;s pure speculation, but the similarly high-end Standard Horizon GX6000/6500 combo VHF/AIS models will support multiple wired and wireless Ram mics if the 6000 and 6500 ever emerge from what seems like type-approval hell. 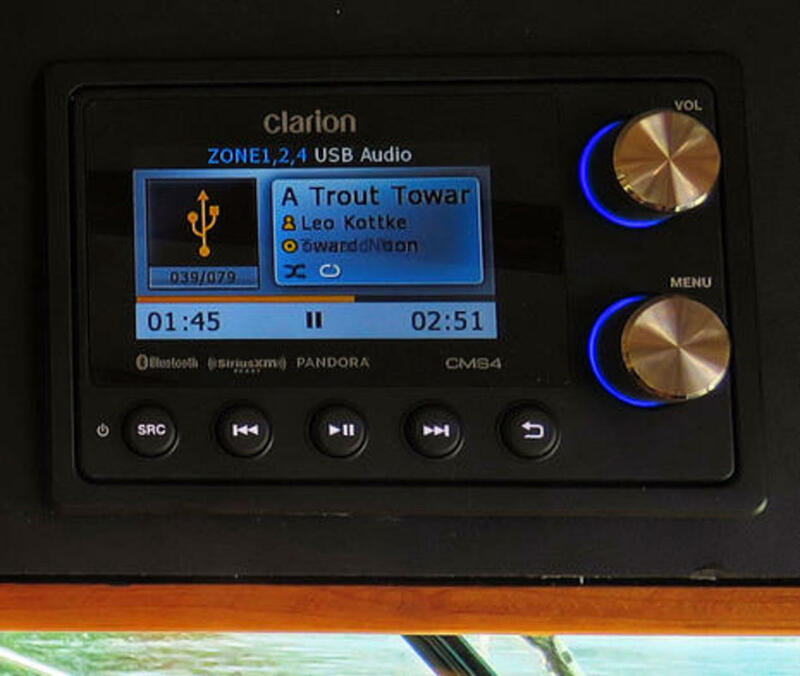 This Clarion CMS4 "media receiver" looks sharp alongside the Icom 605 and is similarly loaded with quality features. It can, for instance, nicely display and play music I&apos;ve collected on USB memory sticks (like above), and it streams Bluetooth content from my phone beautifully. It can also play different sources in different zones if I choose to set it up that way, and it installed easily because I could put the main black box with all its inputs/outputs in a more spacious cabinet. 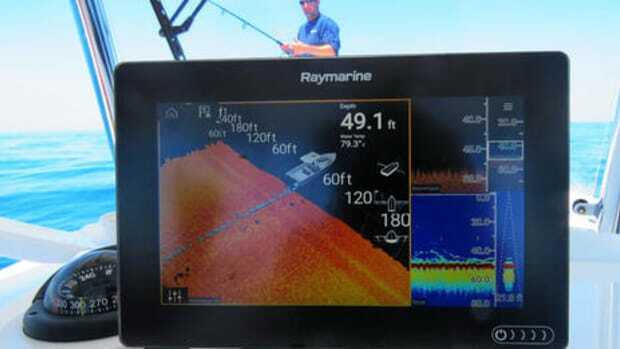 I will note, though, that the otherwise nice color display, which can also show camera input, is a bit dim from a low viewing angle, and that the planned NMEA 2000 control capability discussed here in October isn&apos;t completely buttoned down yet. While I do have a prototype Clarion MW6 N2K module installed, actual integration awaits an MFD firmware update from one or more of the big brands, and I&apos;m afraid that&apos;s a common situation with "standard" NMEA 2000 audio control at this point (as I worried about in early 2016). Apparently NMEA 2000 entertainment PGNs need more work, so the MFD developers have to provide specific audio model support. 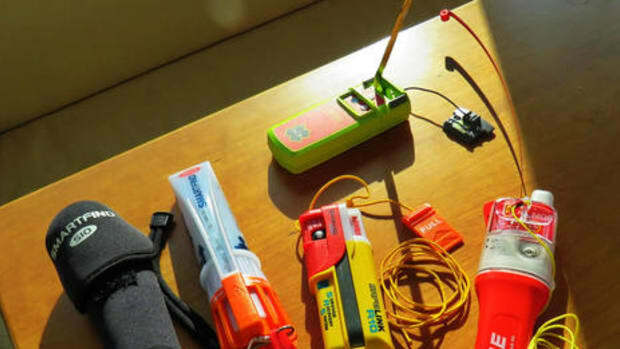 I think it&apos;s just a bump in the road, but I do miss the days of Fusion-Link just working with everything (though that took time to blossom, too), and, incidentally, I&apos;ll eventually detail how well a Fusion StereoActive can serve as portable boat, boatyard etc stereo. The Em-Trak B400 is the first SOTDMA type Class B AIS transciever I&apos;ve tested and also an impressive AIS target display. 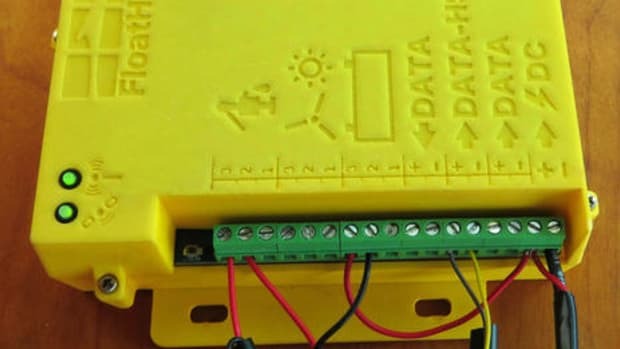 The list above, for instance, includes potentially valuable detail like the type of AIS the target is using and how long ago its last transmission was received. Note that the list can be sorted by and/or alarmed by CPA (Closest Point of Approach) or other categories, and filtered to avoid false alarms. Individual crossing situations can be graphically predicted, and all relevant targets overlaid on detailed C-Map charts. 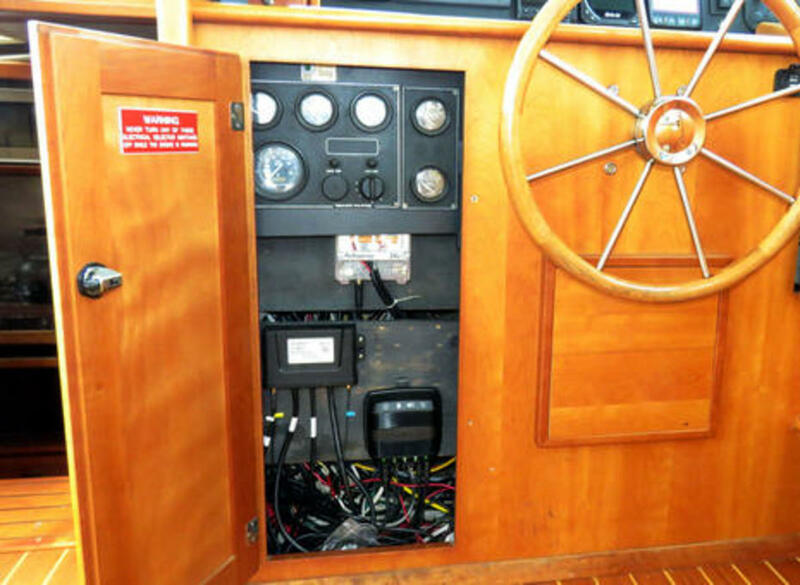 But especially note the B400&apos;s 5 Watts of transmission power -- 2.5 times the power of standard Class B -- and the fact that the relatively new SOTDMA Class B standard transmits a fast boat&apos;s position much more frequently than CSTDMA&apos;s maximum 30 second rate. I detailed the differences between Class B/SO and Class B/CS here, and B/SO seems obviously more effective, especially for planing power boats. 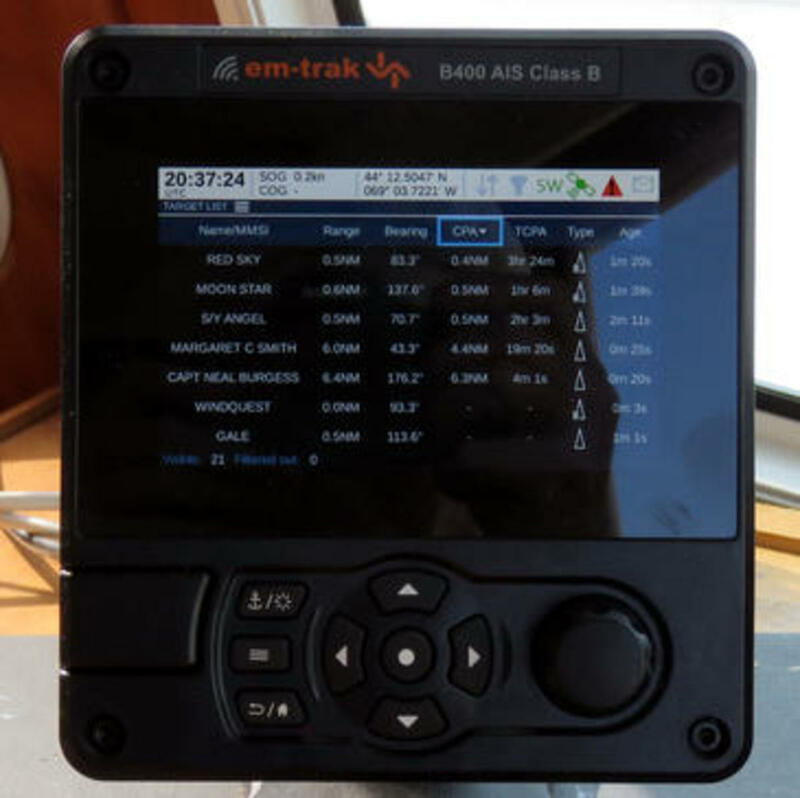 My main gripe with the Em-Trak B400 so far is that it will apparently only accept NMEA 2000 Heading output from a GPS satellite compass, but that&apos;s an issue that manufacturer SRT is working on and I look forward to more testing. I expect to see this B400-style Class B/SO introduced under other brand names, and AMEC now offers a black box WideLink B600 model that I will soon be testing alongside the B400. 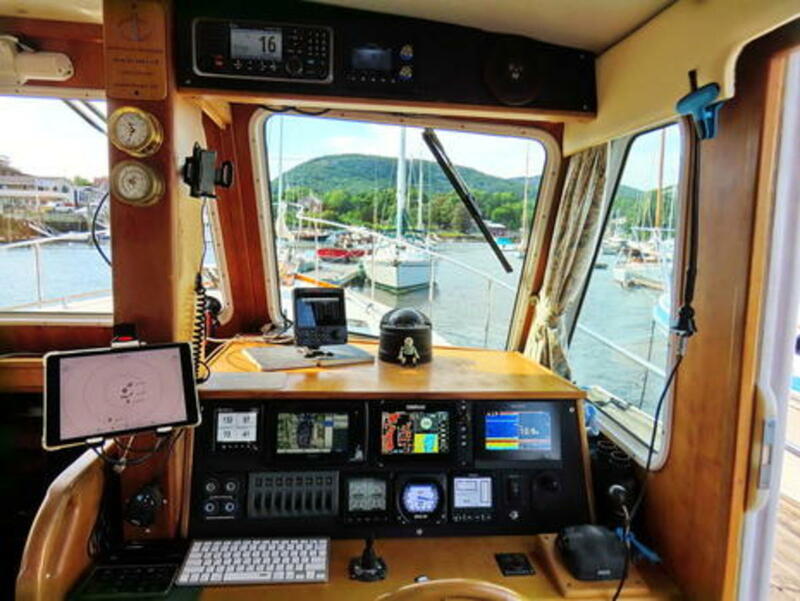 Meanwhile the Vesper Marine XB8000 blue box Class B/CS that I&apos;ve already long tested and appreciated became a significantly better system with the free "smartAIS" update Vesper issued early this year. 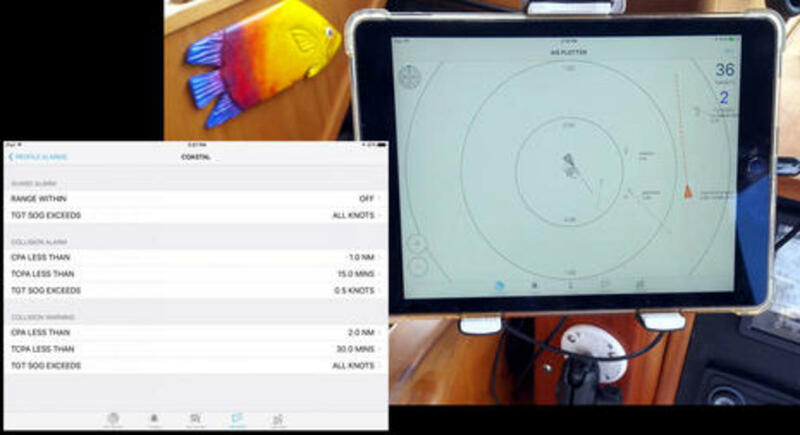 In fact, getting iPad app access to Vesper&apos;s sophisticated AIS target alarming -- detailed here on the tested WatchMate and then the WatchMate Vision -- was a main motivator to replacing Gizmo&apos;s old but reliable Datalux police car PC with a ScanStrut Rokk Mini tablet mount. Though it may sound counter intuitive, what I find especially smart about Vesper&apos;s latest app/hardware integration is that it works un-integrated. 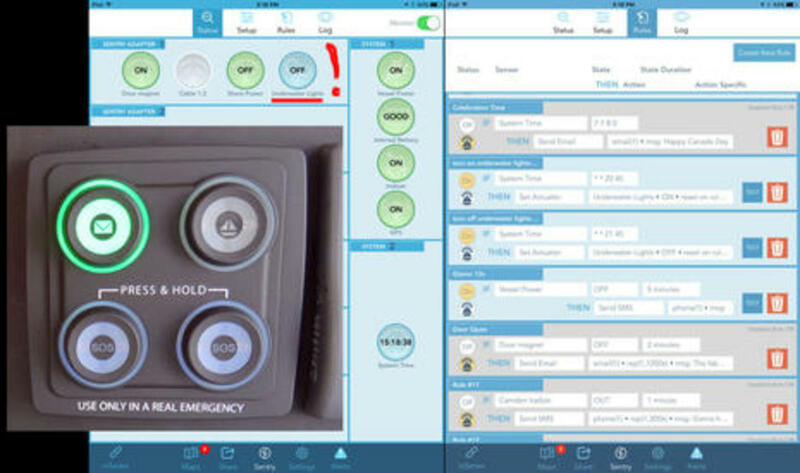 While you do need to have the WatchMate app open to actually see the graphic alarming visible on the iPad above, the alarm parameters set up on that inset screenshot are saved in the XB8000 and will fire off an audible 12v alarm (if installed) even if the iPad is doing something else or stowed away. 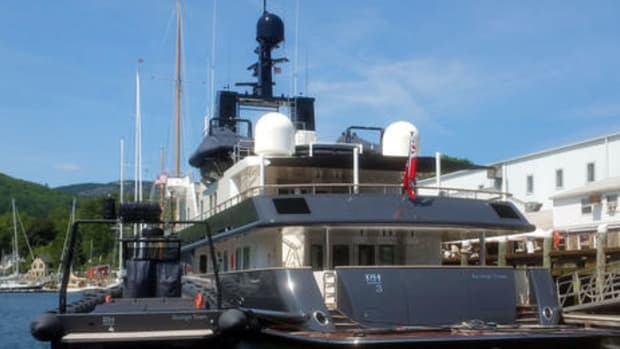 However, that also means you could end up with a loud alarm that you can not turn off without firing up a mobile device and opening the app, perhaps while scrambling from a deep sleep with a very displeased mate nearby (smartAIS includes an excellent anchor watch). A physical switch for the external alarm -- both now included with the XB8000 -- is highly recommended, and Gizmo will be getting one very soon. 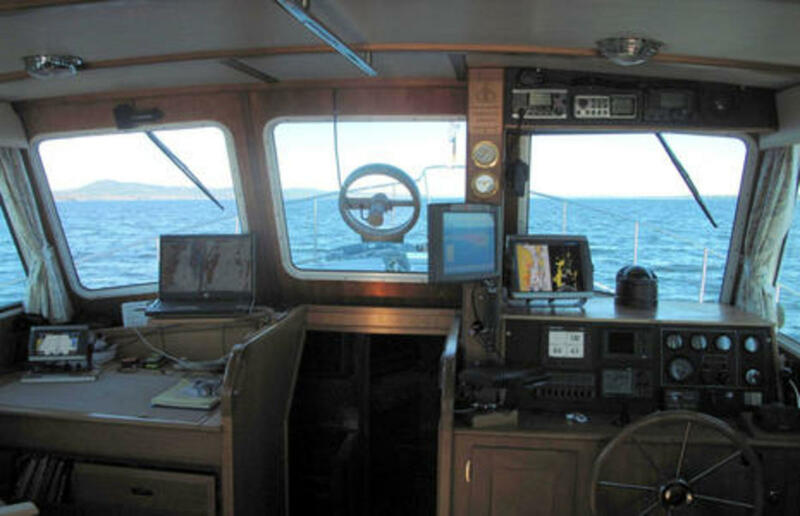 Removing the Datalux sadly means that I can no longer run Coastal Explorer right at the lower helm, but the nearby "Chart Table 21" setup still offers access to CE and other PC charting programs. And, wow, I&apos;m impressed with the integration of Coastal Explorer 4 and Rose Point&apos;s new Nemo gateway. 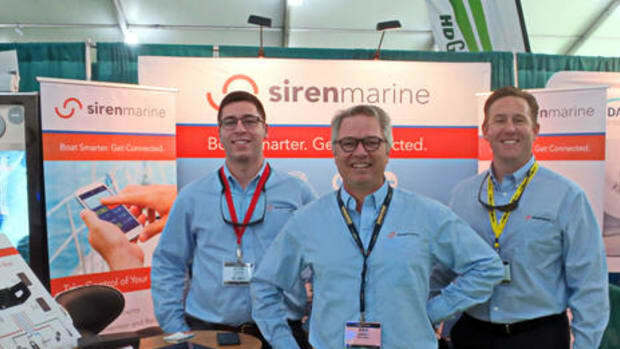 I&apos;ve only peeked around so far, but I&apos;ve certainly never seen a charting program, or maybe even an MFD, so able to understand and manage NMEA 0183 and 2000 data sources and uses. 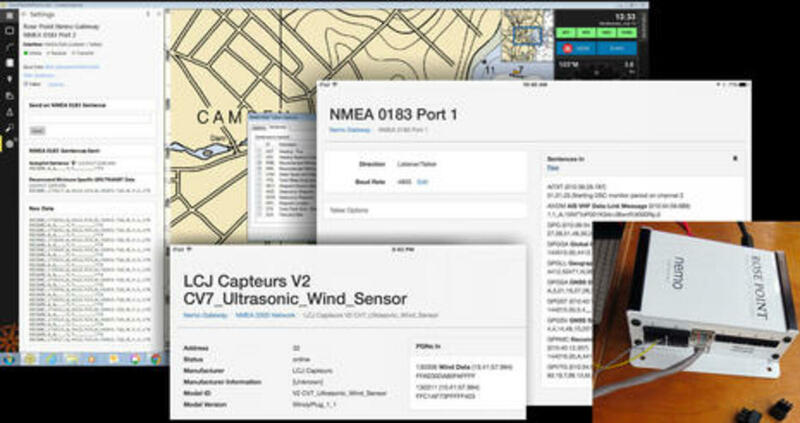 The elegant Nemo white box can also be fully accessed with the Nemo Gateway App (also illustrated above) and it&apos;s worth noting that the Rose Point team is highly involved in the developement of NMEA OneNet. It&apos;s also possible that I can get Windows charting onto the tablet mount (which can also be used on the fly bridge) at relatively small cost. Check this SV Delos electronics video to see an extensive CE-centered system running on a cheap CHUWI tablet. I found that whole install video quite interesting, by the way, and in Smörgåsboat Part 2, I&apos;ll explain how Delos could have avoided the difficult N2K cable run up the mast by using the thin-cabled LCJ Capteurs V7 wind sensor (and WindyPlug) identified by Nemo above. Sometimes NMEA 0183 still makes sense. 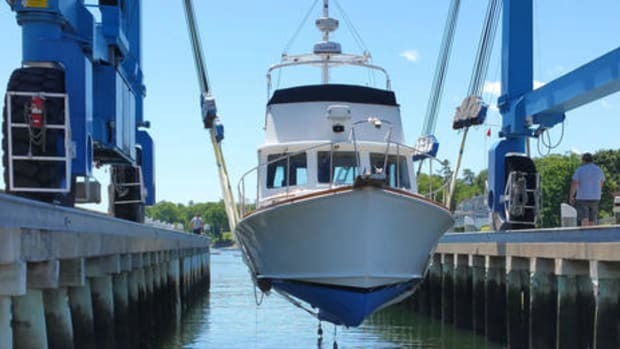 The otherwise enviable skipper of Delos may also regret installing a row of Maretron DSM150 3.5-inch displays shortly before the 4.1-inch DSM410 appeared. 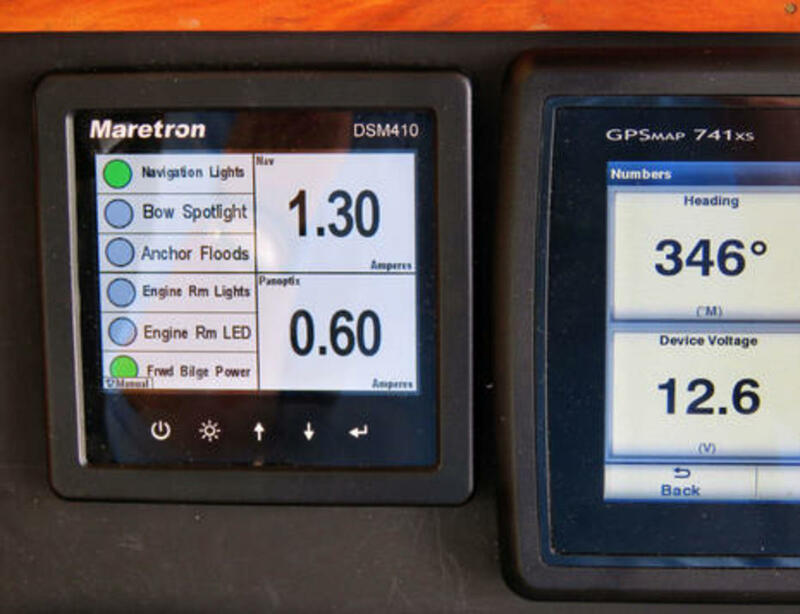 The 150 still offers the reasonable-cost deep access to Maretron&apos;s extensive sensor, control and monitoring world that I wrote about in 2013, but the 410 adds handsome glass bridge styling in a very well made package (though it requires a rectangular cut out). But there&apos;s more to see at the lower helm, like the SkyMate Mazu system keypad above, here quietly informing me that I have unopened Iridium satellite email at my special Mazu address. Meanwhile the dim blue glow behind the two lower buttons assures me that Mazu is ready to send a distress alert from anywhere, and then I could use the Mazu app or regular iPad email to communicate with the rescue center. Mazu&apos;s optional Sentry remote monitoring is also installed on Gizmo, and I encountered some clever hardware and software design in that process, partially because I was supervised by SkyMate engineers. They were a little surprised that I used a Sentry 12v relay to switch Gizmo&apos;sLumishore EOS Mini/SMX color change underwater light extravaganza -- my take on the system here, install and use review coming -- but wouldn&apos;t it be nice to light up the swim platform as you approach by tender at night (or maybe from a waterfront bar)? I have lots to learn about all that Mazu can do, but, by golly, I can already activate the bling by satellite. 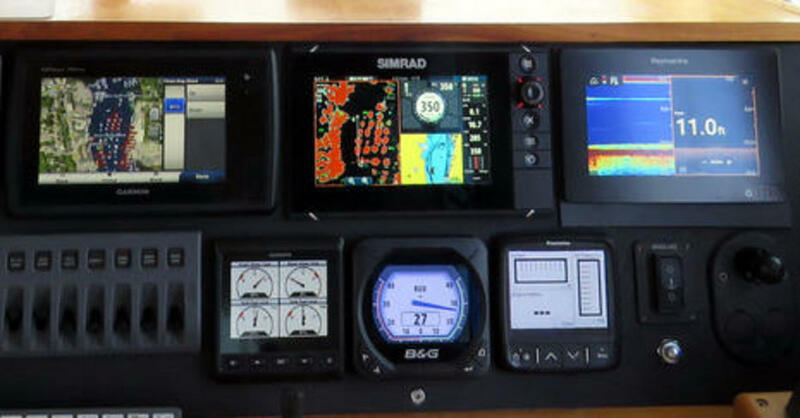 Aside from the very new Raymarine Axiom 7 discussed in June, and testing well, this mini glass helm of 7-inch MFDs and all-in-one NMEA 2000 instruments remains the same, and quite a showcase of all that can be done these days on small displays. (Plus I can now get Furuno TZT2 goodness down to this helm thanks to the iPad and the TZT2 4.01 software update.) More hardware updates are coming to this space and I&apos;ll give them an especially hard workout this fall, but all the major brands seem to be doing well these days, as recently well expressed by a pro on the Panbo Forum. I&apos;ll close with a look inside the cabinet beneath the lower helm, now home to Mazu mSeries and GoFree Track black boxes as well as the Actisense EMU-1 that reliably supplies the glass bridges with engine info (though I still wish the "smart" displays would learn to do better alarming with the data). 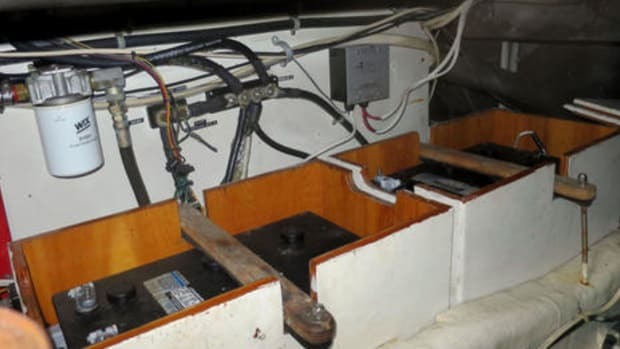 What&apos;s not located here anymore are a couple of large battery switches that I wrestled into the engine room to make more install room. The Clarion CMS4 black box, for instance, is behind that removable panel. And, yes, there are a whole lot of cables back in there, even though I&apos;m good about removing unused ones. But let&apos;s end it here lest your taste buds sour from seeing the back of the kitchen. Soon I&apos;ll lay out the electronics goodies elsewhere on Gizmo, but please feel free with comments and questions about this spread, including ways you would like to see things tested.